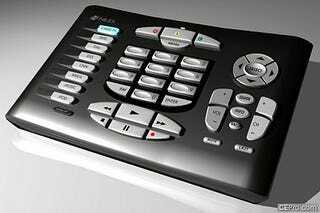 Niles, remote maker to the stars and NBA basketball players, has finally decided to upgrade its venerable easy-to-use Intellicontrol remote control to the IC2, an even simpler version with larger buttons and up-to-date devices. No fancy-schmancy touchscreens here; these are all buttons, all the time, and those buttons are much bigger to make it simpler to use. This monster comes in two pieces, the main system unit that receives the remote signals and distributes them accordingly, and then the "big button remote" that can run 16 devices, and can even control systems all over your McMansion.